Gathered together, here are all the gallery of pictures you'll find on my website. Pictures of butterflies, moths, and caterpillars, plus information about how they are taken. Pictures of sunsets and sunrises. When the wildflowers are in bloom around the Phoenix area, it can be spectacular! The blooms of cactus never disappoint. My rock collection. Fossils and Shells, too. 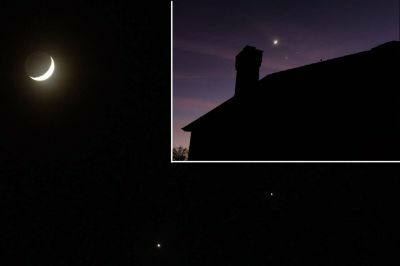 Pictures of astronomical skies, showcasing the moon and planets as can be seen by the naked eye. It' all about the cactus and other desert plants. A must see if you visit Phoenix. Pictures of Phoenix's Desert Botanical Garden's butterfly exhibit. Galleries of pictures of butterflies and other insects taken on single days at this wonderful location east of Phoenix near the town of Superior. The beautiful grounds of the Boyce Thompson Arboretum near the town of Superior, AZ. Other Insects - Dragonflies, Bees, Beetles, etc. Not all of our insect friends are butterflies! Lizards, Turtles, and Snakes! Oh my! If you are interested in using any of the photos on this website, click here for information.